I created the SensorSafe Product Knowledge Sheet with the store representatives in mind. Making copy simple, short but very informative, employees of the retailer selling the seat could quickly scan and pick up on little facts to remember, like weight ratings and how easy the technology works, in order to make a good selling point to consumers. Putting the SensorSafe Media Kit together we wanted to make sure we explained to the consumer who we are and what we do as a brand. 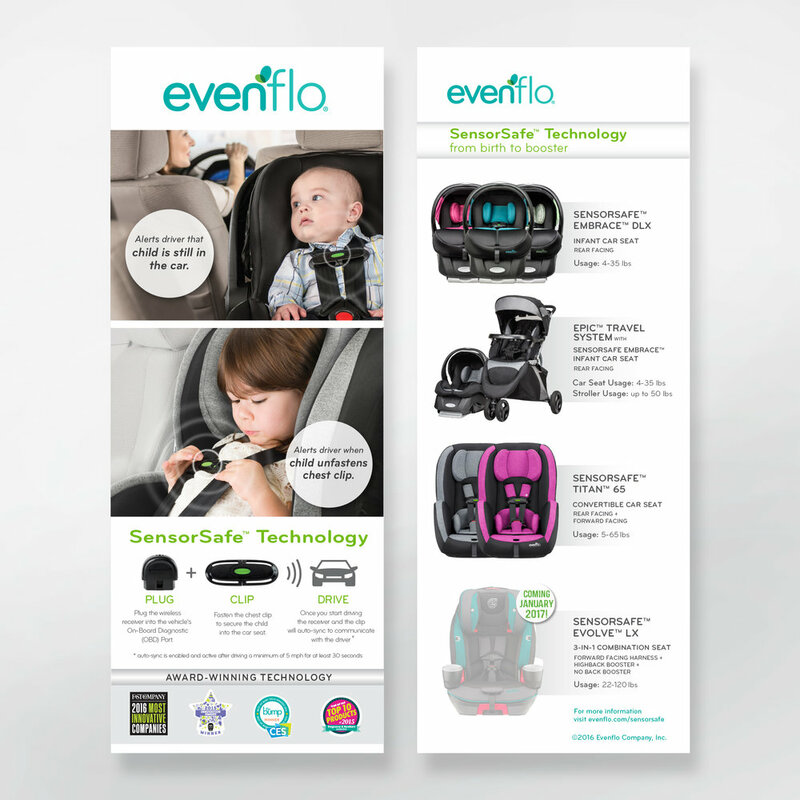 Continuing then into a quick and informative brief over the product, showing what the Technology of the car seat is meant for, how it works and why our consumers love it. For more information on the new product and previous products with the same technology you could then read through and pick up on each products features to help consumers in their decision of which product best fits their needs. If the consumer would like to learn even more about the products they can look at a Q&A section to help them get to know the product and technology better.